Stitches and Scissors: Cottage Quilting Bee. Hi. 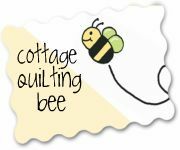 A big welcome to all of my fellow Cottage Quilting Bee peeps. I am so excited to be surrounded by all of you. Isn't the internet great?!?! Tina just let me know that she received my fabric in the mail today, so I thought I would post the instructions. First, I thought it would be easier for you to work on my quilt if you knew a little about me. I am 28, (really 29 as my B-day is this month, but I don't want to acknowledge it) I stay home and take care of everything that needs to get done running a household and take care of my daughter who is almost 2. I have sewed all of my life. My mom is a master of all things and I learned to sew at her knee. I don't think there is anything that she can't do! I usually go through sewing phases, but I think I am here to stay. The fabric that is out there now is really what has motivated me, it is so gorgeous! My mom is so proud and my grandma would be loving that I got her quilting jeans in me. Ok, enough about me. For the February block I would like you to make a Log Cabin block or a Wonky Log Cabin block. Per Tina's instructions we are making 12.5" blocks so that when we sew them together they will be 12". I like the idea of all the blocks being different. I think that I have given everyone different combination's of fabrics in their bag. I choose fabrics from designers and also some from good old JoAnn's. I am ok with you using some fabric out of your stash, but please stick with the green and pink fabrics. You are welcome to use white in the block if you would like,(I have had a couple of people ask me if they could) but don't have the white be on the border as I might frame these blocks in white. If you have any questions or need more fabric please let me know, just leave a comment in this post and I will respond likewise. If you have extra fabric could you mail it back with your completed block, thanks. If you need a little help here are some tutorial's (you don't have to follow them, just though they might help some people). For inspiration here are some pictures. here, here, here, here ,and here. Have Fun. I can't wait to see what you come up with. i'm assuming 12" finished (12.5" unfinished)? Good to meet you! I can't wait to get started! I can't wait to see your fabric in real life, they look scrummy. I've never done a log cabin or wonky log cabin, but I've very keen to have a play. 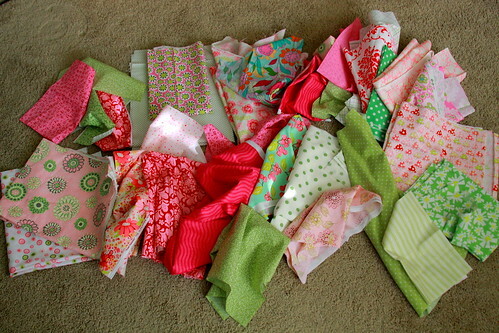 I'm loving the pink and green colours, that's going to make one pretty quilt. And a log cabin too - awesome! If we want to can we use a solid white in the block, or would you prefer not to? I noticed a couple of the log cabin photos had white accents in the block, I thought it looked really cool. 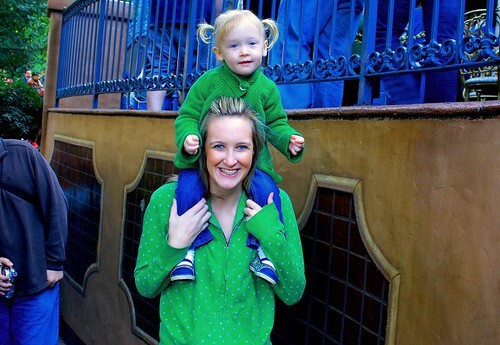 LOVE the pigtails on your daughter! Can't wait to get to know you more through the SewConnected3 group! your daughter is SO stinkin' cute!!! i can't wait to hold your fabric in my hands and make you something pretty!!! Can I do really wonky like this? Carolyn, that would be awesome if you did it that wonky, so far people have just done the log cabin, so I am really looking forward to seeing it Wonky! Can't wait to get my fabric! I just love the scrappy cabin quilt! I made one of these too, very small with just 4 squares. They are so fun, and I just love the mix up of pattern and color. Thanks for all of the great inspiration! 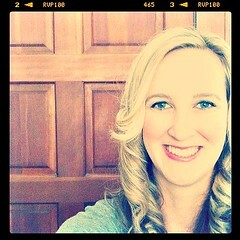 Hi Darci - gorgeous photo. I have just got your fabrics. Very bright and fun. Can't wait to start making a block! All the blocks I have seen so far have been great.